Clean lines give the Eastland collection a classic look. Available in black, white, silver and dark gray, this collection can match just about an decor and style. Less than 1″ thick makes it perfect to fit behind sink hardware and medicine cabinets. SKU: 670CH. Categories: $$$$, Eastland, Nickel, Silver, Full Frame, 2 5/8" - 3", Contemporary, Traditional. Begin by measuring the height and width of your mirror. Enter the number, in inches, using the form below. Be sure to select the correct fraction to ensure a perfect fit! 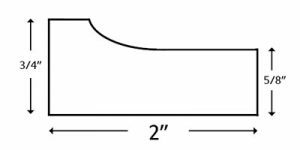 Learn more on measuring for your order on the Installation page. If you have a question about placing your order, feel free to give us a call at 1-800-331-6414. 1-800-331-6414. For mirrors that have the space, we like to add a 3/8" overhang to finish off the look and conceal the edge of the mirror. To see if we can include that overhang, please let us know the distance from each edge of your mirror to the nearest obstruction. If your mirror has a channel, or a thin medal strip running along the bottom, simply measure from the top of the mirror to the bottom of the channel. 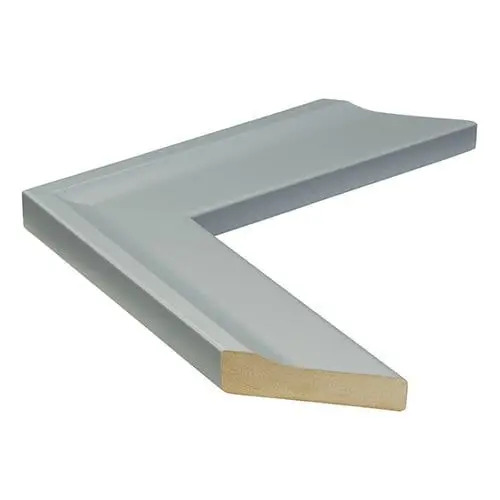 This channel will lie flat behind the frame once it is installed. No worries! 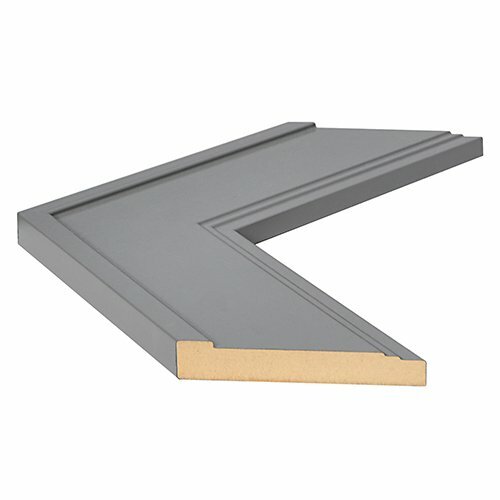 Our Add A Frame® is completely flat on the back and can go right to the edge of your mirror. No extra room on the sides is needed! Be sure to measure the width and height at a few different locations to make sure your mirror is in-square. 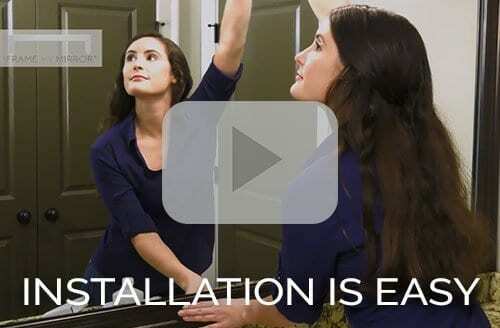 Some mirrors are hand-cut by installers and may not be a perfect square. Is one side longer than the other by just a fraction of an inch? Choose the larger measurement so no mirror shows on the outside of the frame. 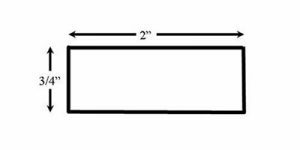 If the light fixture is above the mirror, just measure the distance from the fixture to the mirror. If the light fixture is built into the mirror, measure from the inside edge of the mirror to the fixture and verify the width of the frame will fit in that space. If the light fixture hangs directly over the mirror, measure the distance between the light fixture and the face of the mirror. Be sure to choose a frame style that is thin enough to lie between them. Not sure the frame will fit? Buy a sample for $1 and test it yourself! Is on a medicine cabinet? Give us a call and one of our customer service representatives will be more than happy to assist you! The Add A Frame® is designed for mirrors like yours! Simply select “0” from the drop down in the Bottom category. This tells us that you have no room for overhang. The frame will go right to the edge of the mirror and conveniently sit on the backsplash. Easy for installation, too! Click the examples below for details on how to measure. If you have a question about placing your order, feel free to give us a call at 1-800-331-6414. In order to ensure your new frame adheres properly to your mirror, we include replacement mirror clips with every order free of charge. These new clips replace any existing, bulky plastic clips and lie flat against your mirror. Please enter the number of replacement clips required along with some additional information on your mirror below. 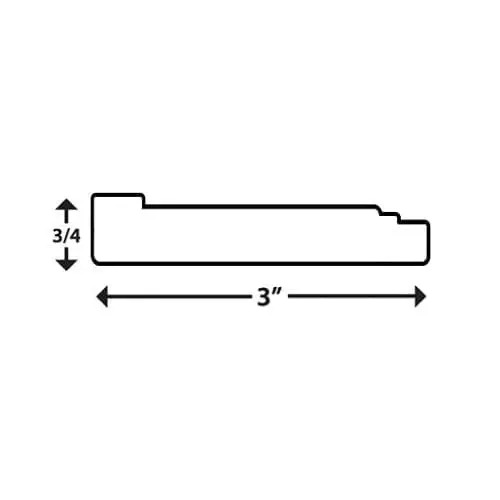 How many replacement clips would you like shipped with your frame? If your mirror is beveled, please measure from the edge of the mirror to the interior of the bevel. 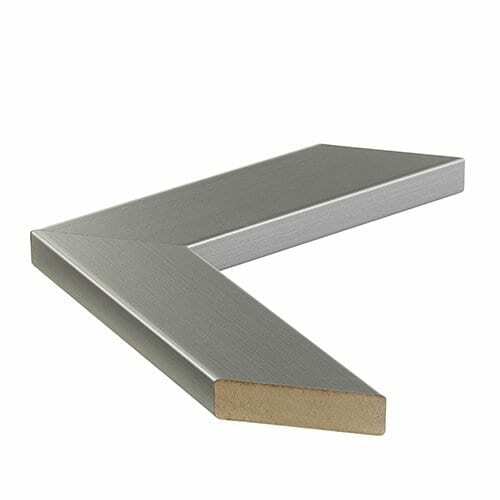 Doing so will ensure that our frame adheres to the flat part of your mirror.Please note that some of our narrower frame styles may not be compatible with larger bevels. If this is the case someone from Frame My Mirror will promptly reach out to discuss your options. Please review your order details below prior to adding your frame to cart. Have an outside dimension of " H x " W due to the distance from obstructions. If you have a question about your order, feel free to give us a call at 1-800-331-6414. I verify that all of the above information is correct and I understand that I should call customer support before placing my order if I have any questions. The Weston offers an understated wood-grain style elegantly accented with a satin nickel finish. When your bathroom mirror makeover calls for classic color and style, the Weston is the perfect choice. Soft but stark. Edgy yet curvy. The Avery is a study in juxtapositions, with a soft sloping outer edge coupled with a dramatically-angled interior edge. 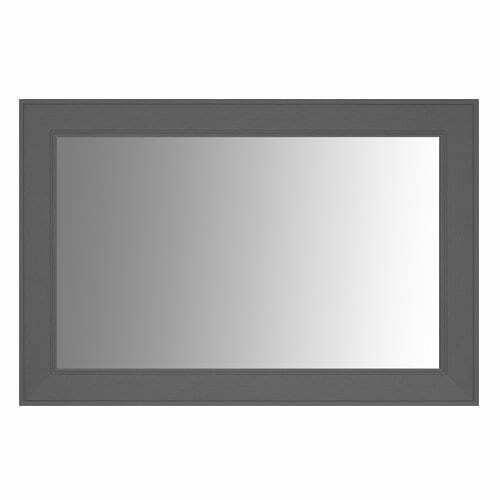 Your bathroom mirror gets an updated look with this 2” frame in a Light Grey finish. The Hudson in a Nickel finish is a bold statement at 3” wide. 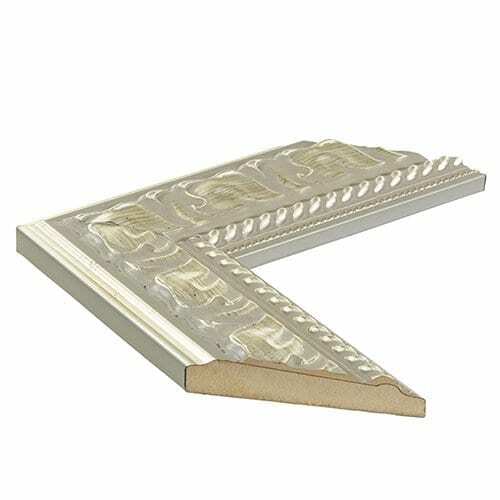 Traditional scrollwork along the inside edge of the frame is complemented by abstract molding highlighted with metallic accents. Give your bathroom mirror a frame that lends a contemporary feel with traditional touches. 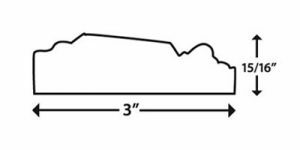 For frames over 90” in length, a $50 handling fee is added due to the oversized nature of the frame. 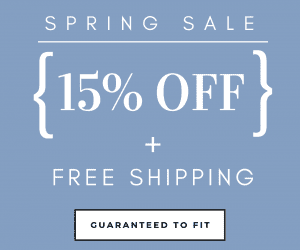 This covers additional labor and shipping fees. Frames over 99” will be spliced. To learn more about splicing visit our FAQ page. The mirror dimensions you have entered are oversized. Please call 1-800-331-6414 or email customersupport@framemymirror.com to complete your order. All of our frames are custom cut to your specifications. Typically ordering processing takes between 5 and 10 days for your order to be ready to ship. If you'd like your frame to ship within 48 hours, we can expedite the order. Would you like to expedite your order processing?